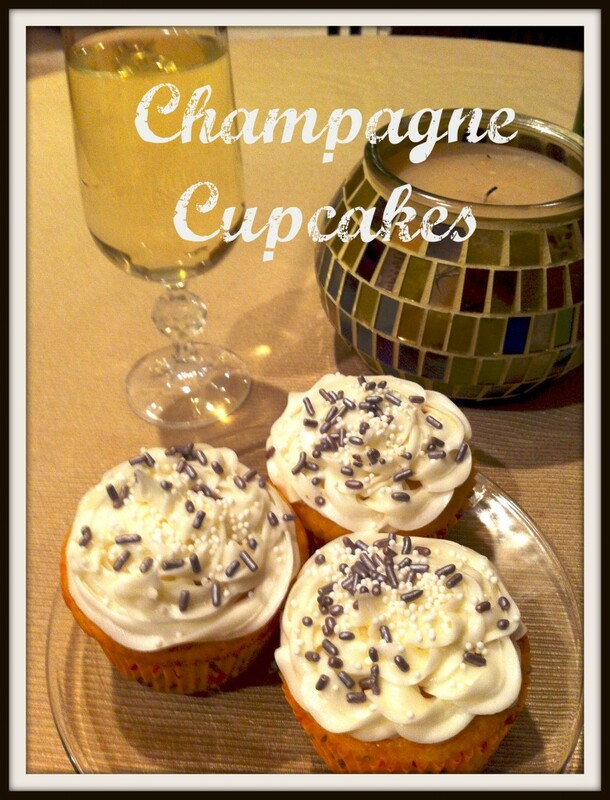 Easy tutorial on how to make Champagne cupcakes. Made seriously easy with the help of a boxed cake mix. Cheers! 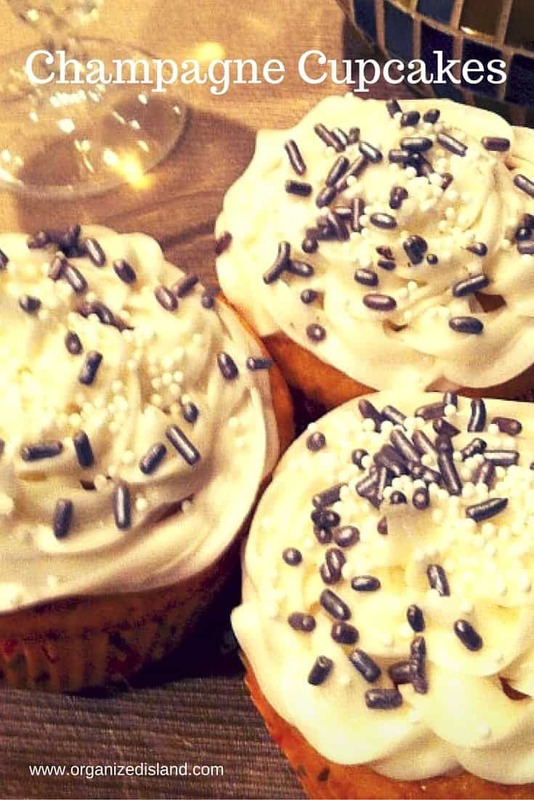 Champagne cupcakes are a great way to ring in the new year. 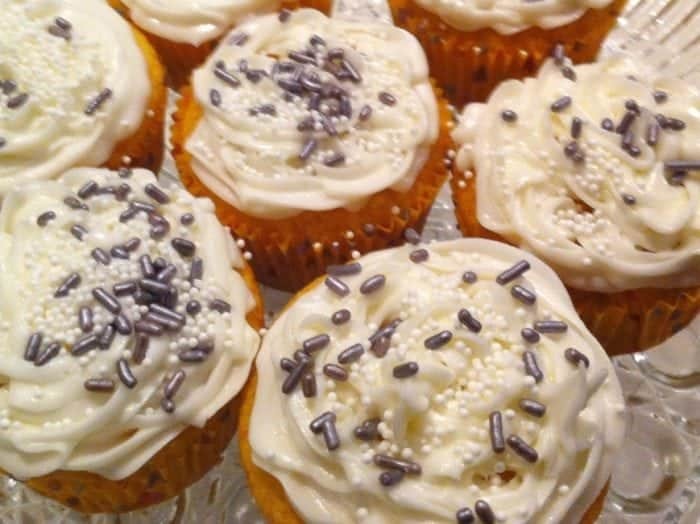 These cupcakes are quite easy as they start from a boxed mix. This time of the year I am too busy to make them from scratch so I just played around by adding champagne to the mix and frosting. I finally got a formula I liked. The flavor is subtle and sweet making a tasty cupcake. 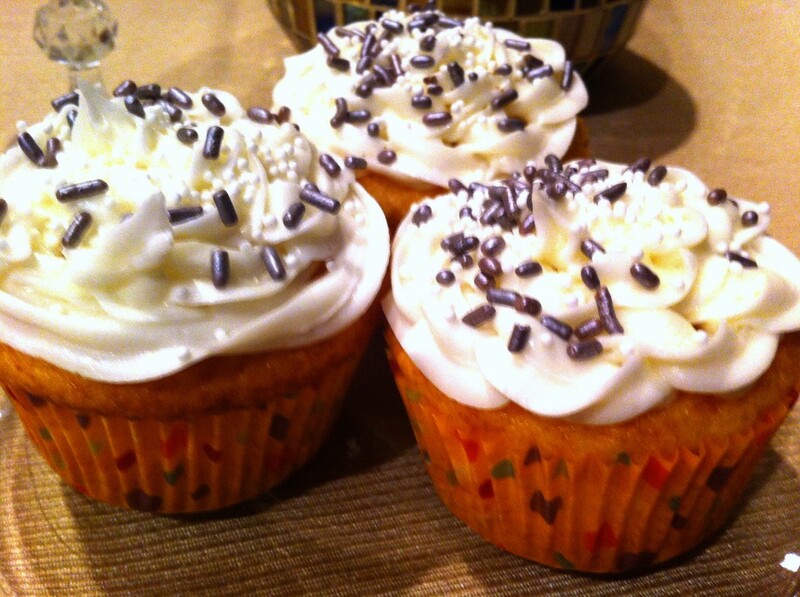 Next year, besides exercising more and discovering new books, I resolve to make more cupcakes LOL. Preheat oven to 350 degrees and prepare a baking pan with cups. Mix ingredients together in a bowl. Fill cups with batter 2.3 full. Bake 17-19 minutes until toothpick comes out clean. 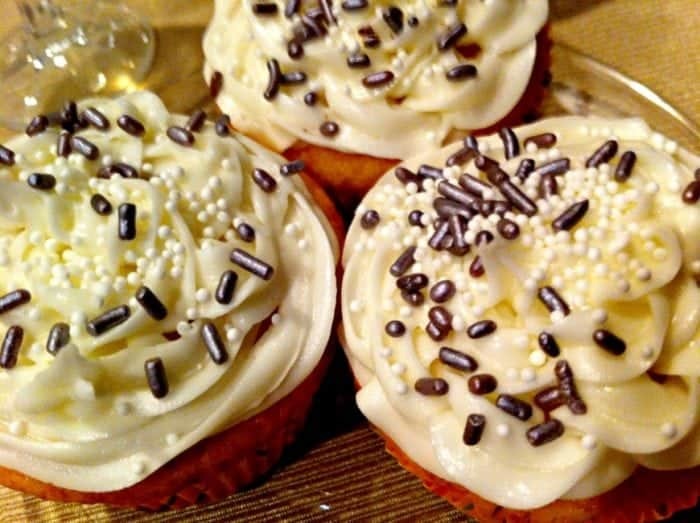 Let cupcakes cool and frost with champagne buttercream icing (recipe below). Cream butter, add powdered sugar gradually using a mixer. Pipe in decorator tube or use a knife to frost. Cheers! We are celebrating new years eve at a concert. What are you all doing for New Years? These look divine! 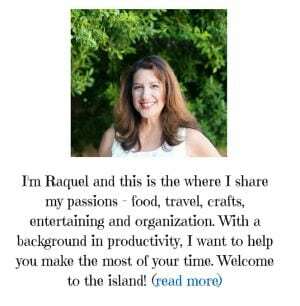 Thanks for visiting my Diana Rambles blog. I am now following you via G+, Pinterest, Twitter & Facebook. I hope you check out my weekly Pin Me Linky Party. You have some wonderful things that you could link up! Thanks for the follow and your sweet comments Diana! Oh my these look SO delicious! Thank you Laura – they are really tasty. Happy New Year to you too! Totally making these for a NYE get together tomorrow. 🙂 Thanks so much for sharing! Thanks for stopping by Suzan! Happy New Year! Those look really good! And they’re so cute! Thanks Melanie! They are tasty! Hello, and thanks for linking up on the GYB hop! I’m enjoying getting to know some new blogs – I’m now following your on Google+ 🙂 These look pretty scrumptious! You should enter them in the Spiked Contest at This Gal Cooks! these look yummy! And very festive! 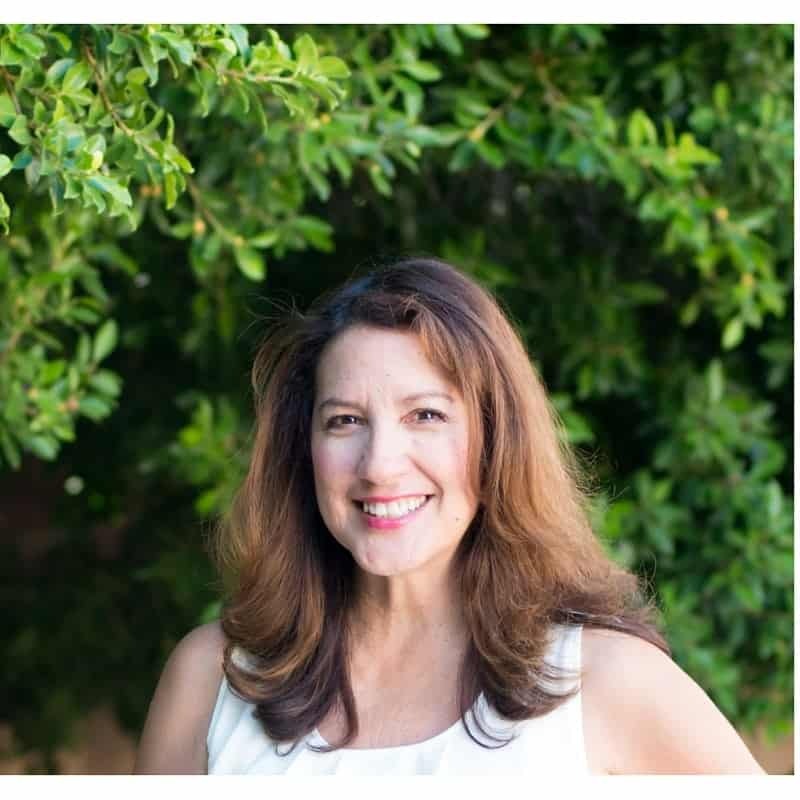 Thank you Shel and I appreciate the follow! I made these for the first time and was really pleased with the results. Loved them! Thanks so much for linking up at Two-Cup Tuesday! See ya again next week! So glad you liked them! Thanks for the new party!